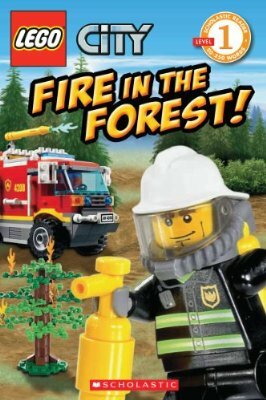 This book follows Fireman through his a day on the job. Other than the vehicles and characters which are renderings of Lego, the rest is illustrations. With bright vibrant colors it will attract younger readers and keep their attention. The Lego City books are diverse and this new addition to the collection is a great little book. The Leveled readers are great books for young children. They are designed to progress as a child's reading improves. There are hundreds of titles in these formats, even across different publishers. What makes this particular series, The Lego City Adventures, so good, is that little kids will be attracted to them because of the format and style. These books are bright, vibrant, and colorful stories with fun illustrations. As a Level 1 reader geared for Kindergarten to Grade 1, this book is intended to help with sight word recognition, and sounding out simple words and sentences.